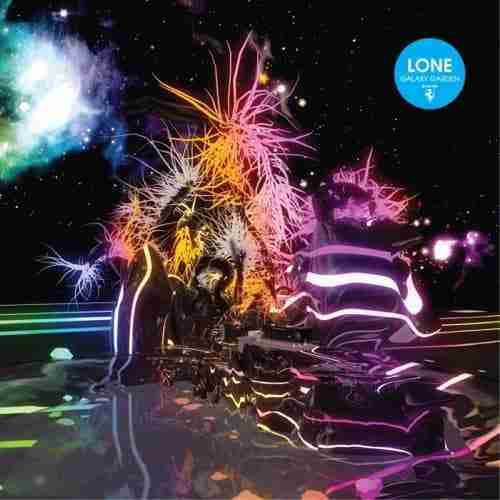 The aptly titled Galaxy Garden marks a departure from Lone’s previous two albums of blissed out, hip-hop infused electronica. His third LP retains the atmospheric touches of Lemurian and Ecstasy & Friends. It also shares their soundtrack qualities but this time it’s the sonic backdrop to a psychedelic, schizophrenic journey through the cosmos. Dreamy synths float all over this album giving it a lush but eery feel. There’s beatless moments where pan pipes, whale noises, running water and acoustic guitar could take it into chill out territory but the frantic tribal percussion sees off any such thoughts. The songs shape shift rapidly and Lone glides through genres so smoothly it’s barely worth mentioning them. It’s the juxtaposition of sounds and ideas that makes this such an interesting listen. There’s a clear 90s house/breakbeat influence but it’s one of many. An old-skool rave track is topped with an 80s style noodling synth solo. Smooth melodies slide over low rumbling bass and insistent broken beats. It’s like NASA broadcast a pirate radio station out of the milky way 15 years ago and it’s somehow returned to earth covered in space dust. Galaxy Garden is a giant leap for Lone taking his songs light years away from the earthy productions of previous albums. It’s a tricky listen to get your ears around at first but your effort will be rewarded with an LP that doesn’t tire easily. Pier Pressure is a blog that brings together all of the creative output of Matt Allfrey.